Our Premium Bio Silicone Render is one of our leading silicone-based coloured renders. It offers advanced mechanical resistance and UV protection, while also maintaining elasticity and durability. The advanced self-cleaning agents within the render work to actively attack and break down organic growth; it’s therefore perfect if the building is situated in areas of high vegetation or if there is a risk of increased exposure to organic matter. 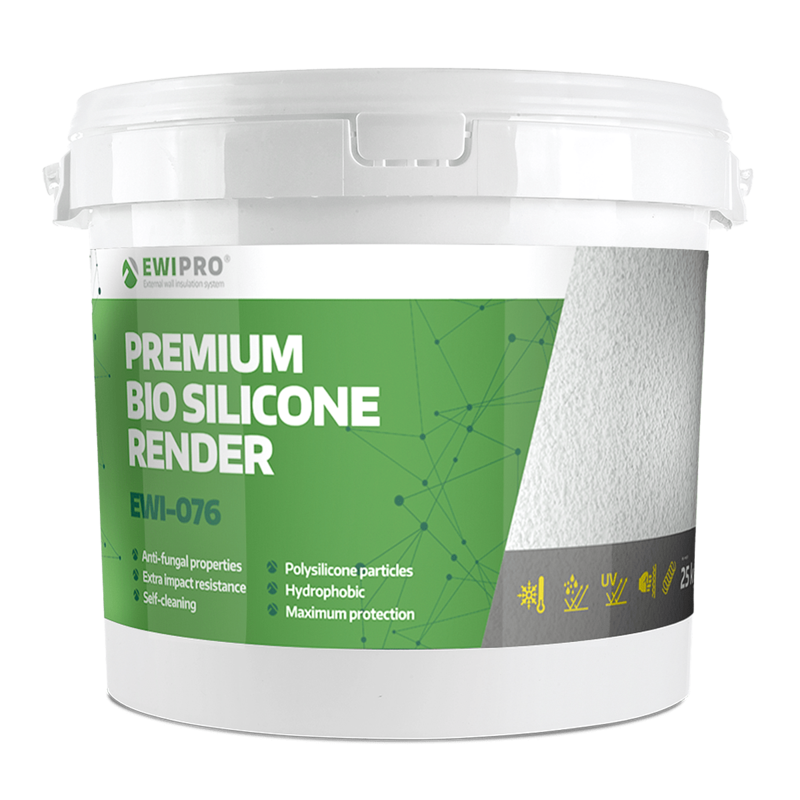 The silicone technology within the Premium Bio Silicone actively helps it retain its appearance even in the most trying conditions. Unlike our dry-mix renders, Premium Bio Silicone Render is a ready-to-use render. It is very versatile as it is suitable for use on brick, concrete, traditional plasters, gypsum substrates and chipboard. The render is a mixture of silicone and acrylic resins, with mineral fillers and pigments. Premium Bio Silicone Render is also available in hundreds of colours, catering to every taste. Premium Bio Silicone Render should be applied in temperate weather and should not be used in temperatures above 30°C. Likewise, if the materials or the substrate are frozen, or if there is any risk of frost damage within the first 24 hours, work should be postponed. 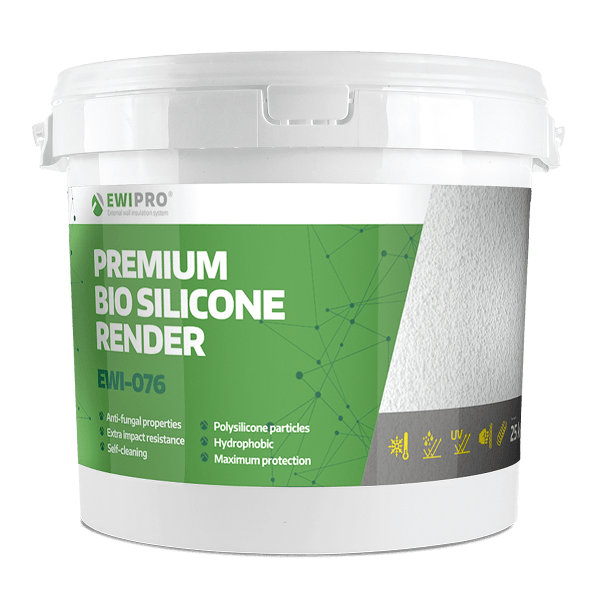 Premium Bio Silicone Render should not be applied in rain or humid conditions, or if wet weather is expected before the render has set. Setting time is typically 12-48 hours, although this is dependent upon environment and humidity.